* Adjustable vehicle height to lower center of gravity. Expect a 1" drop, up to 3". * Adjustable compression and rebound valving simultaneously. One knob allows you to choose from 18 valving options allowing total suspension control. * Extremely low weight! The stock springs, shocks and bushings weigh approx. 18 pounds per corner while this new set is only 6 pounds! * Customer chooses their own spring rate to suite their driving style and desired comfort level. This kit is for BOTH SIDES and includes two rear coil over shock assemblies, less springs. 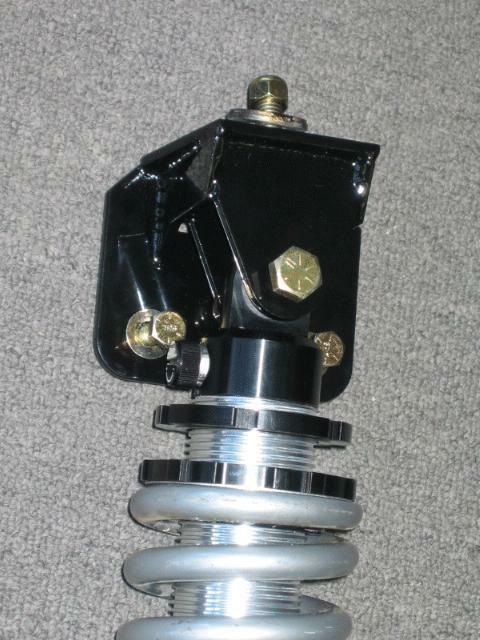 A new upper shock mounting bracket is part of the package as well as most all hardware. You will reuse the nut/bolt at the bottom where the lower shock eye attaches to the lower control arm. 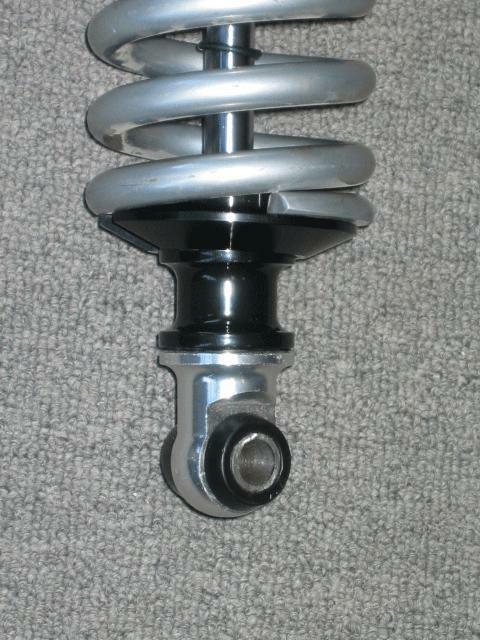 The shocks are QA1 Proma Star single adjustable. They are lightweight aluminum, 100% Dyno Tested and Serialized, Revalveable and Rebuildable by the QA1 Factory or QA1 Authorized Service Centers, and American made. A one year factory warranty applies. 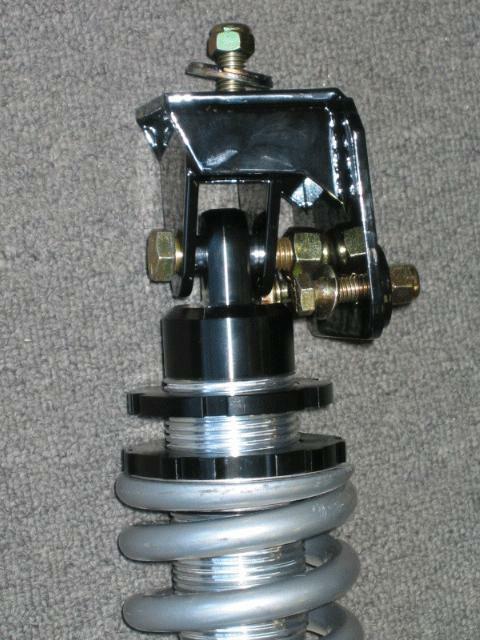 We can offer a upgraded double adjustable pair of shocks as a $229.99 option on top of the pricing shown. The double adjustable shocks are highly recommended for drag racing, open road course racing, or anyone wanting the ultimate in chassis tuning. Call us to order these. Note: For use on a '93-98 Lincoln Mark VIII there is a minor modification needed that any DIY mechanic should be able to handle in their home shop. SCP can explain it in detail to you over the phone. Springs are not included with this kit. Customers can purchase these from SCP or a supplier of their choice. Purchase a pair of 10" long x 2.5" diameter coil over springs to suite their car's weight, intended use and modifications. A 250# rate spring is a good starting point for full weight car and a 225# rate spring is suggested for lighter cars. You can choose from a QA1 spring, Afco, or many other manufacturers. Bump stops for this rear kit are not included and are not absolutely necessary but can be purchased from us or QA1 for approx. $20.99/pair. Also, we highly recommend you purchase our Coil Over Wrench Kit to aid in installation and adjustments in the future. Note: Always align car after lowering ride height and you may run out of alignment adjustments if you lower the car to the kits capability. Replace the weak rubber bump stop that is likely squashed flat by now with our much stronger polyurethane replacement.